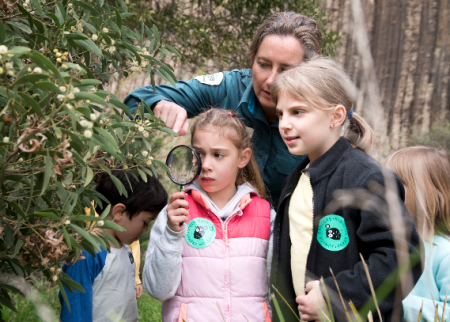 If you’re visiting The Entrance with the kids, we found five fun things to do to enjoy a day out with the tribe. These weekly markets are a great addition to the already family friendly area at The Entrance. 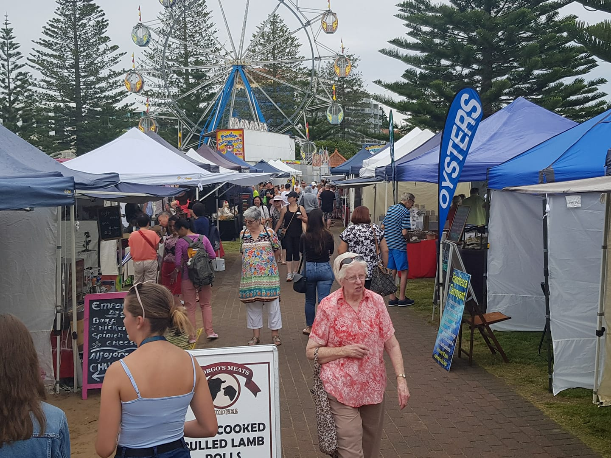 Every Saturday from 9am-2pm you will find fresh produce, food vendors and market stalls with wares from clothes to jewellery, plants, toys and more. Sometimes there are even pony rides on offer at the markets for the kids. It’s a great day to visit the area and find something fun for the whole tribe to enjoy. This sweet shop has a little bit of everything for those with a sweet tooth. There are even American sweets and soft drinks including Dr Pepper in multiple flavours and Duff energy drink too. You will also find sweet breakfast treats like Pop Tarts in all flavours and international treats from places including New Zealand, America, England and Europe. 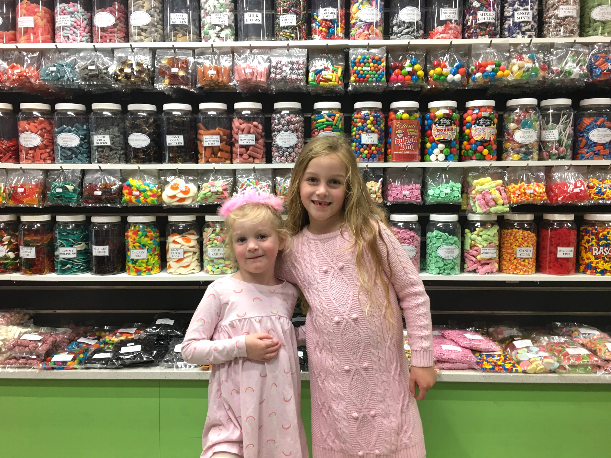 There are walls of lollies to choose from and create mixed bags to take home, or you can simply grab a little lolly shopping basket and fill it with your favourites such as gummy pizzas or Pez. The hardest part is leaving this yummy shop. 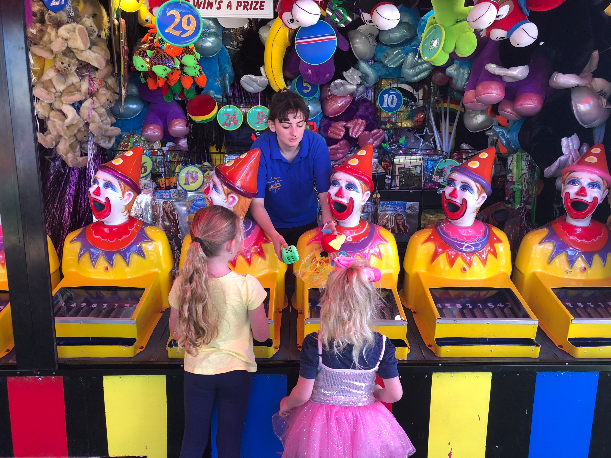 The Haas Family Carnival is a permanent fixture at the Entrance on the water front. They have a carousel which is an institution in the area after arriving in Australia from France in the 1900s. There is also another smaller carousel, jumping castle and giant inflatable slide and the clown side show. 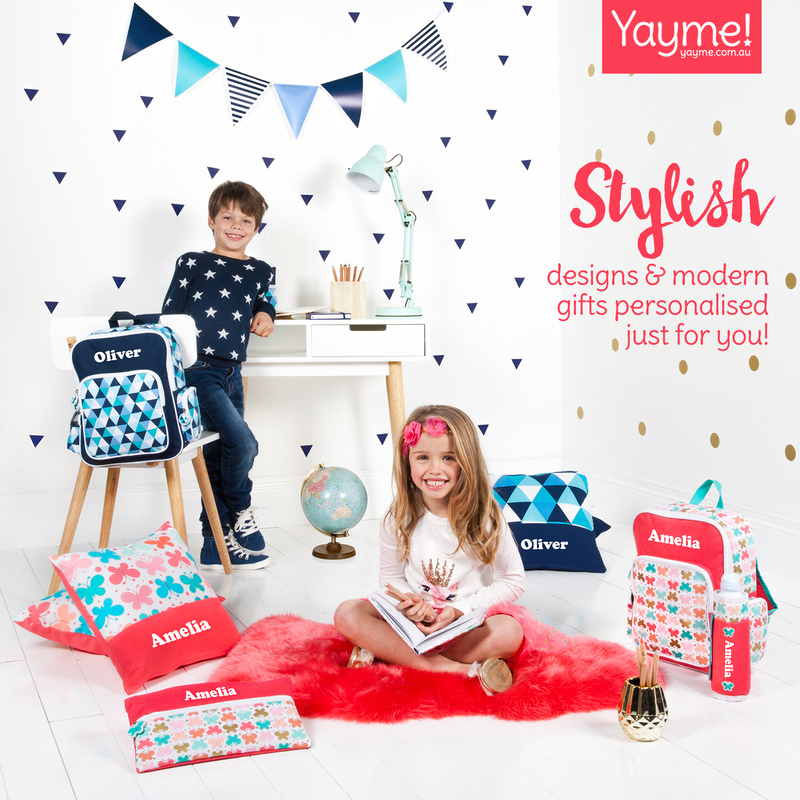 You can also purchase carnival prizes ranging in price from $5-$20 if you have a tribe who love carnival toys but never seem to have luck on their side. Either way it’s a fun activity for the family. Pelican feeding is a daily treat for the tribe (and the pelicans). At 3:30pm every day the staff at Jimbo’s Seafood come out and feed the pelicans who are all ready and waiting. 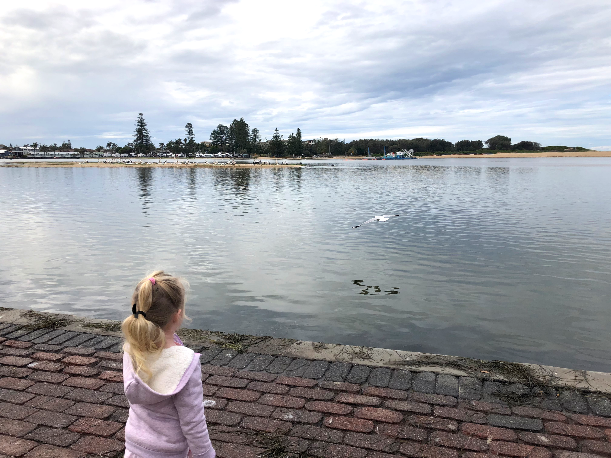 This event has become a real tourist attraction brining families to the area just to see the hundreds of pelicans coming to feed. The Pelican Feeding takes place at Pelican Plaza, a tiered feeding platform that allows the pelicans to come right up out of the water and catch the fish scraps. 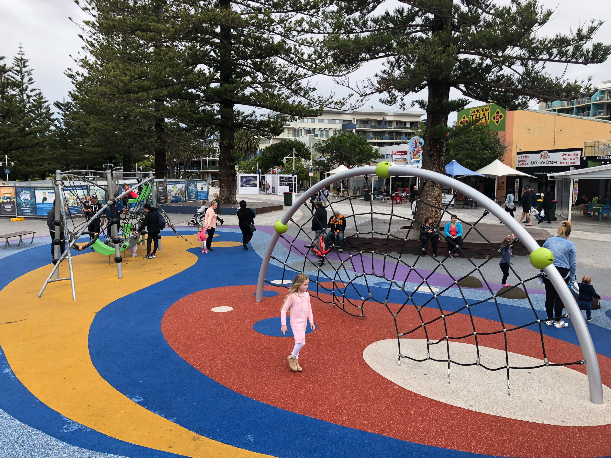 This fantastic playground has multiple play areas for all ages and abilities. There are climbing structures, in-ground trampolines, a wide slide with rock climbing wall, grass hills and a soft fall hill with a tunnel underneath, a spinning ride and more. There is a water play area called Vera’s Watergarden nearby which is currently under construction but should be ready to go again by summer. There is also a second smaller fenced in playground for the little ones just a short walk down the esplanade. For more on The Entrance waterfront park, click here.